What should be a joyous occasion for American families instead leaves thousands in medical and financial distress. Of the four million annual births here in the United States, 50,000 women experience dangerous and life-threatening complications. However, despite medical advancements, the U.S. has the highest maternal mortality rate in the industrialized world. Between 700 and 900 women die each year due to pregnancy and childbirth. Experts place the blame on the doctors and medical staff, saying that at least 44 percent of these incidents are entirely preventable with better care. The number one reason why people come to the hospital is for childbirth. Of all patients admitted, women in labor account for 12 percent of overnight stays. Most of these women have deliveries similar to those romanticized by Hollywood, as well as the small screen. The expectation lulls medical staff into a false sense of security. 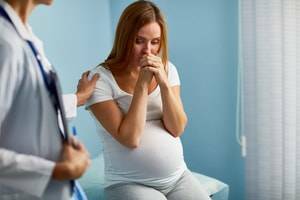 Doctors and other medical staff frequently ignore or fail to recognize a woman’s distress signals and other alarming symptoms both during childbirth and in the tenuous period immediately following delivery. Health care personnel understand what “code blue” means in their hospital, along with each other predetermined emergency protocol. Furthermore, each hospital has a unique routine for rapid response. Medical teams save lives when they work well together. Unfortunately, for childbirth and new mothers, emergency protocols are almost non-existent. The failure to have safety features in place leaves doctors frantically shouting orders to nurses and assistants that do not have the necessary supplies readily available. Chaos often leads to life-threatening conditions. Some doctors fail to recognize a patient in distress, while others act before it becomes medically necessary. The number of doctors inducing labor is on the rise. Additionally, cesarean sections, also known as “C-sections,” are at an all-time high. New studies show that one-in-three women experience C-sections in the United States. This number is twice as high as those of our European counterparts. Experts suggest that only one-third of these surgeries are medically necessary. Although the procedure has become commonplace, as with any surgery, the risk of complications is ever-present. Unnecessarily operating on a mother puts both lives at undue risk. If you or a loved one suffer from injuries you believe your medical staff could have worked to prevent, speak with a skilled Santa Clara County medical malpractice attorney. Doctors and hospitals have legal teams dedicated to diminishing your claim by either minimizing the extent of your injury or denying any fault. 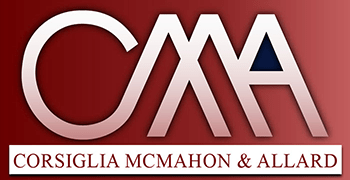 The reliable attorneys at Corsiglia McMahon & Allard, L.L.P. will aggressively defend your claim, and will work to help ensure you receive maximum compensation for the damages you needlessly endure. Call us today at (408) 289-1417 to have your side of the story heard and learn how we can help.